We embody the values of the people in Utah we serve: morality, ethics, modesty in dress and movement and honesty in business are reflected in the way we run our organization. We employ dance as the vehicle to empower our associates to excellence; teaching important life skills such as respect, hard work, commitment, and self-discipline. We exemplify ourselves as valued and respected artists. This is reflected in the way our students are revered and treated. Our end-goal is to produce successful "Dance Artists;" assisting each dancer to prosper in their personal dance goals. Utah Dance Artists (UDA) was founded in 2001 by Brooke Maxwell. The business has grown from a one room, basement dance studio to the largest dance studio in the Salt Lake Valley. 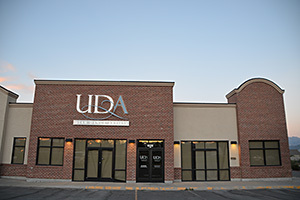 UDA is conveniently located in South Jordan, Utah (easy access from I-15 off 106th and 114th south exits) and in Draper (directly west of I-15 on the frontage road at 12896 South). Utah Dance Artists offers dance classes for dancers age 18 months - 18 years old in the genres of ballet, pointe, jazz, tap, modern, contemporary, hip-hop, ballroom and tumbling. Additionally, we provide technical, performance and competitive opportunities for beginning through pre-professional levels; valuing every student’s education and opportunity for growth. Why Choose Utah Dance Artists? Brooke Anderson Maxwell created her own dance studio, Utah Dance Artists, and began teaching classes in a basement studio in her West Jordan home. The first year she taught each and every class. The second year the studio expanded and added 4 additional teachers. The studio soon became very popular and outgrew the single dance room in Brooke's home. Utah Dance Artists moved into it's new location and more than doubled it's space. 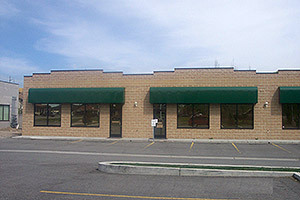 The West Jordan studio had 2 large dance rooms, a main lobby with visitor viewing windows and an office area. Three years later, in 2008, the studio expanded into an adjacent unit and added a 3rd dance room. 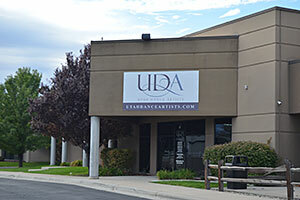 UDA opened it's brand new facility on Redwood Road in South Jordan. Built to specification, the 5100 square foot studio housed 4 spacious dance rooms with visitor viewing windows, raised Marley floors and a state of the art music system. Students also enjoy the fully furnished kitchen and study area. In 2017, UDA expanded into the adjacent unit, formerly occupied by Enterprise Car Rental, and added 2 additional dance studios. UDA expanded, opening a second beautiful facility in Draper. 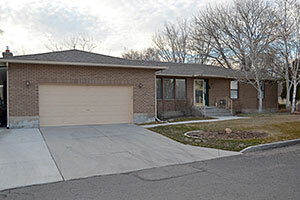 Located on the west frontage road of I-15, the studio boasts easy freeway access. The spacious 4 room dance studio doubled the existing dance space for UDA students. All dance rooms have visitor viewing windows, raised Marley floors and state of the art music sound systems. In 2015, the UDA Preschool Program began, offering a variety of preschool class choices for children ages 2-4.